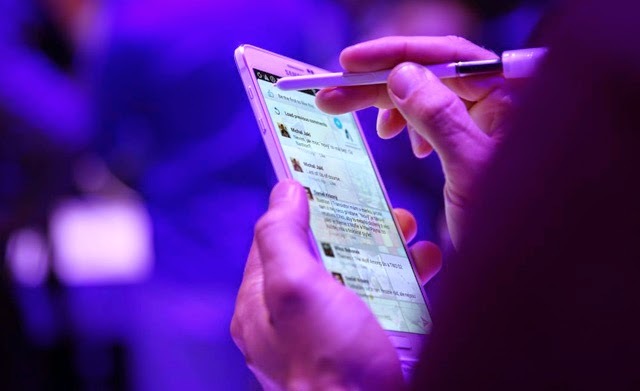 Samsung officially took the wraps off the Galaxy Note 4 at the Unpacked Episode 2 event during the IFA 2014 in Berlin, Germany. 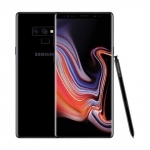 Samsung Galaxy Note 4 features the same 5.7-inch display as the Note 3 but with a Quad HD display, powered by a Snapdragon 805 or Exynos 5433 with 3GB of RAM, better cameras, new S-Pen features and improved battery life! Although other flagship smartphones like the LG G3 already flaunt QHD displays, the Galaxy Note 4’s Super AMOLED screen differs by having a 2.5D Gorilla Glass 3 on top. This means its edges are slightly curved to provide seamless swiping experience from its four sides. A variety of accessories covers are also available including S-View and LED flip covers and a back cover with ‘sparkly’ Swarovski crystals! The Note 4 also has an aluminum frame for those who hate too much plastic. 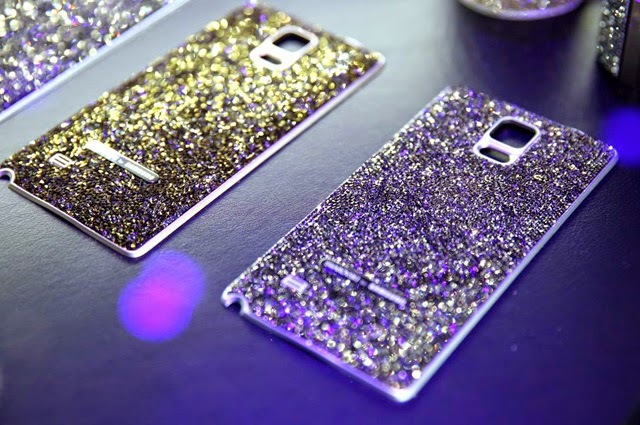 Samsung Galaxy Note 4 back cover with Swarovski crystals! 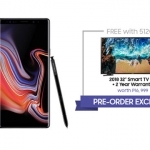 The Samsung Galaxy Note 4 will be powered by either an octa core Exynos 5433 chipset made up of four 1.7GHz Cortex-A57 and four 1.3GHz Cortex-A53 CPUs for South Korea or a 2.7GHz quad core Snapdragon 805 for the rest of the world including the Philippines. Its graphics processor will also differ – Adreno 420 for the quad core version and Mali-T760 for the octa core Note 4. Both will run on 3GB of RAM and 32GB or 64GB of onboard storage space. Another 64GB of storage can be added using a microSD card while USB OTG is supported. Galaxy Note 4 owners will also enjoy 50GB of free Dropbox cloud storage for 2 years. Using the twice more sensitive S-Pen on the Galaxy Note 4. 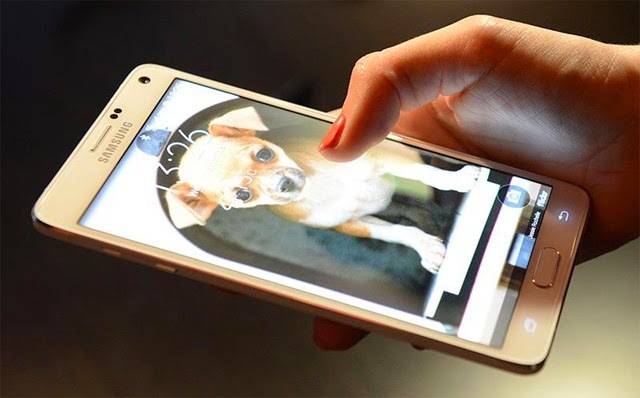 The Galaxy Note 4’s main camera has been upgraded to 16MP from the 13MP of the previous Note. It comes with Smart Optical Image Stabilization (OIS) and produces brighter photos and videos. Its front camera also enjoys a lot of improvements. The 3.7MP snapper has a 90-degree wide angle field of view for groupies without a monopod and a panorama mode that can take Wefies (selfie with everyone!). 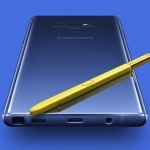 A new app called Snap Note lets you take a photo of writings on a blackboard, paper or sign post and the Note 4 will automatically convert it to editable format! 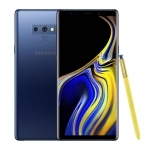 In terms of wireless connectivity, the Note 4 comes with 4G LTE access, dual band Wi-Fi, Bluetooth 4.1, NFC, Infrared and GPS with GLONASS. Again, USB OTG is supported by the Note 4 as well as MHL for mirroring its display on a TV using an MHL cable plugged on its USB 2.0 port. A particularly interesting feature of the Note 4 is its triad of microphones that can be utilized for selective recording and noise cancellation based on direction. You can, for example, play just the voice of an interviewer. 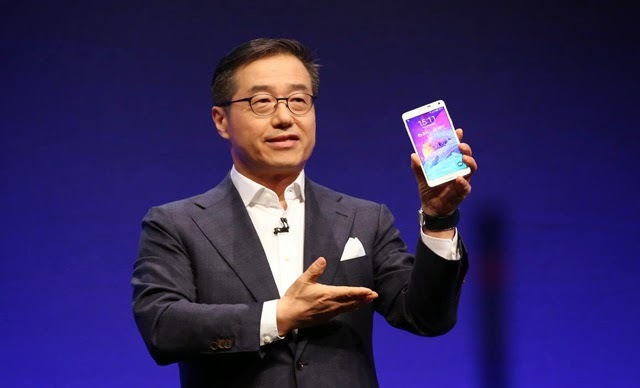 Samsung Executive Vice President DJ Lee presents the Galaxy Note 4. Curiously, Samsung didn’t mention a finger print scanner but it is present. The Galaxy Note 4 also has a heart rate monitor, UV sensor, SpO2 sensor (blood oxygen saturation), barometer, gyroscope and the usual accelerometer and proximity sensor. A 3,220mAh battery powers the Samsung Galaxy Note 4. It might not be that much considering the Quad HD display and powerful processors but Samsung says the Note 4 is 7.5% more power efficient than the Note 3. The Note 4 also has fast charging time that can make its battery level go up to 50% from being totally drained in about 30 minutes only! 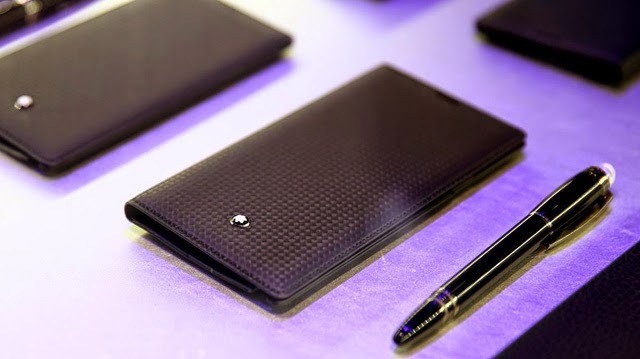 Flip covers for the Note 4 and an alternative stylus from Mont Blanc. Samsung hasn’t revealed the pricing of the Galaxy Note 4 yet but it surely won’t be cheap. It will be available in October so expect it to reach the Philippines the month after that. Smart and Globe will surely have the Note 4 on postpaid plans before Christmas. 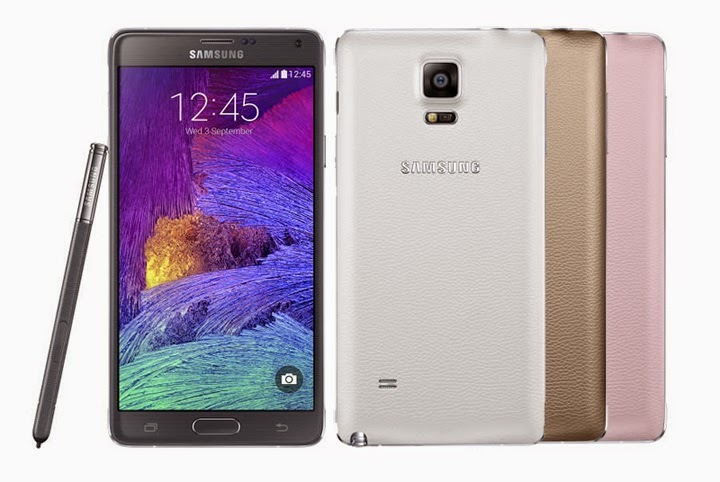 Are the above features enough for you to upgrade to the Samsung Galaxy Note 4? Share your thoughts in the comments.